In the construction and flooring industry, accurate information can mean the difference between a successful project and years of problems, or even litigation. Millions of dollars are spent every year on moisture-related flooring problems that result from inaccurate or inadequate concrete moisture measurement of concrete slabs and substrates before moisture sensitive flooring is installed. 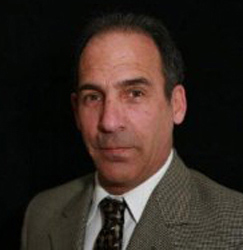 Bill Lepito, Principle of Certified Floor-Covering Consultants (CFCC), has spent 42 years in the flooring industry, much of that time identifying causes of flooring failures. His firm specializes exclusively in testing concrete substrates as they are prepared for moisture sensitive flooring, sealants or adhesives. CFCC also performs Forensic Flooring Failure Investigation, the determination of what went wrong when a flooring system shows signs of moisture-related problems. Because a number of variables can impact a concrete drying schedule, accurate concrete moisture testing is critical before installing any moisture-sensitive adhesive or flooring material. And that accuracy depends on both the moisture test method chosen, and having accurate knowledge of how to perform the test on the job site. Lepito recalls being called into a project several years ago where the flooring contractor refused to put down the floor due to concerns the level of moisture in the concrete. 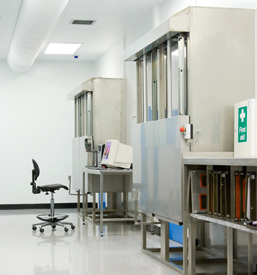 The project was a major pharmaceuticals lab facility and site specifications were very precise for their operations. “The moisture level they were given was 50 percent,” recalls Lepito, but when he did a pilot test using the Rapid RH® from Wagner Meters, the concrete moisture measurement he found was in the 90 percent range. “That’s a significant difference,” says Lepito, and it would certainly put the floor covering at risk without a careful evaluation of the adhesive and flooring product moisture tolerances. Further investigation revealed a major process error, and confirmed a suspicion that Lepito had based on his familiarity with concrete moisture testing. Relative humidity (RH) testing, like the Rapid RH®, is a depth-specific concrete moisture test. 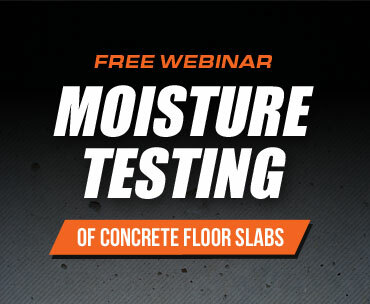 It has been proven to provide accurate readings of the final concrete moisture content under installed flooring when tested at 40% of the slab’s depth*. By drilling deeper, the engineering firm on this particular site was actually measuring the ambient conditions of the room below the concrete slab. Based on his findings, Lepito was invited to come back to complete the moisture testing, and to educate the general contractor about the proper procedure for moisture testing. RH testing (sometimes called in situ testing) is the result of decades of research into concrete moisture testing and is the test method behind ASTM F2170. Lepito himself has been using the Rapid RH® for the past six years and has found it to be the most reliable and easy-to-use RH concrete moisture test product on the market. With Lepito’s commitment to accurate moisture testing for concrete, it is no surprise that Lepito is also a voting member of ASTM’s F-06 Flooring Committee, and contributes to the International Concrete Repair Institute (ICRI) round table for moisture test certification programs. 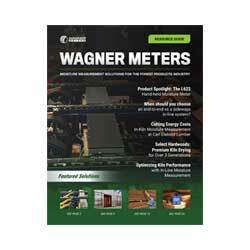 He also acknowledges manufacturers and organizations that are providing training, like Wagner Meters’ educational webinar, or ICRI certification classes. “Certification programs have improved the industry knowledge,” says Lepito, and all of his employees are ICRI certified, and fully trained in accurate concrete moisture test methods. Accurate concrete moisture measurement depends on both having the right tools and the knowledge to use them correctly. Only then can that concrete provide the foundation for successful flooring and building projects that will stand the uses of time. Do you have a story about using the Rapid RH®? We’d love to hear about it. Please contact us at rapidRH@wagnermeters.com. *40% for a concrete slab drying from one side. For a concrete slab drying from two sides, the correct test hole depth is 20% of the slab depth.